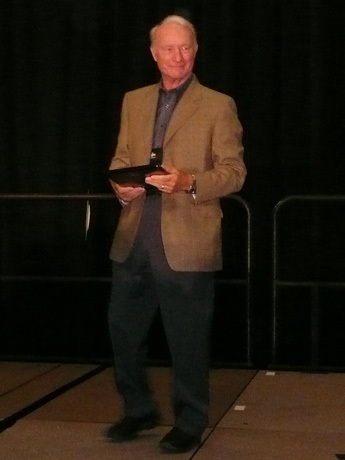 Today is Kurt Widmer’s 67th birthday. 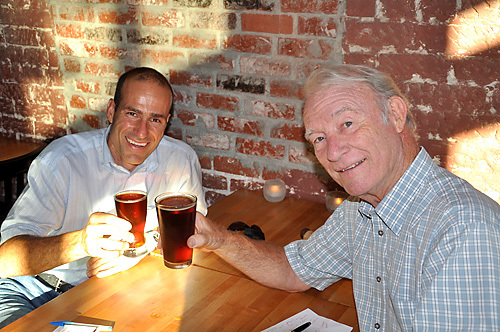 Kurt is, of course, one of the bros in Widmer Brothers. He and his brother Rob helped found the Oregon Brewers Festival, created the style American Hefeweizen and are one of the few small brewers that have managed to retain their spirit and reputation as they’ve grown much larger. A couple of years ago, Kurt announced that he would be retiring, which hopefully he’s enjoying to the fullest. Join me in wishing Kurt a very happy birthday. 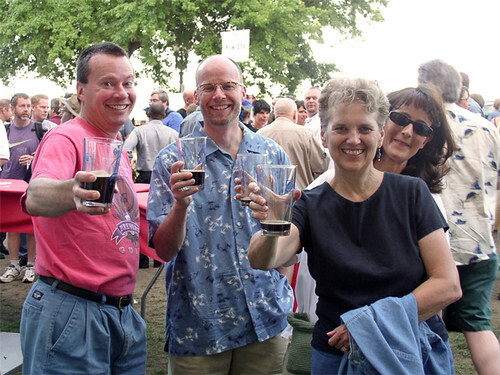 Kurt (at left) and Rob Widmer with their wives at the Oregon Brewers Festival several years ago. 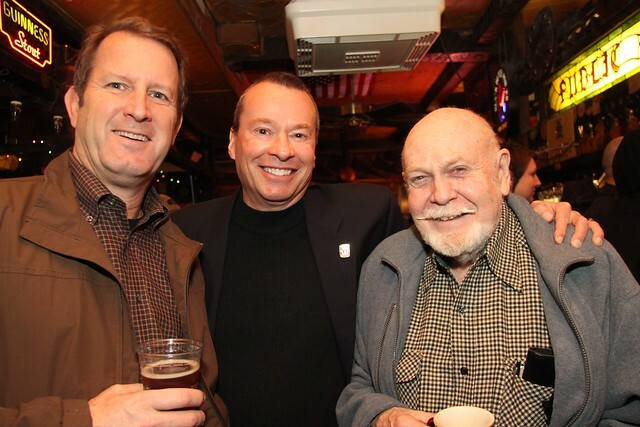 Gary Fish, Kurt and beer writer Fred Eckhardt at Don Younger’s memorial (photo by Tom Dalldorf). 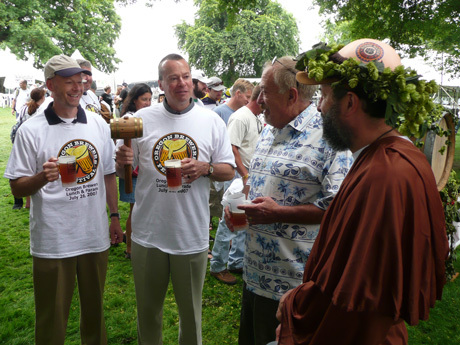 Rob and Kurt Widmer accepting the gavel in July 2007 from Jack Joyce and John Maier from Rogue, for 2008 when that next year they hosted OBF. 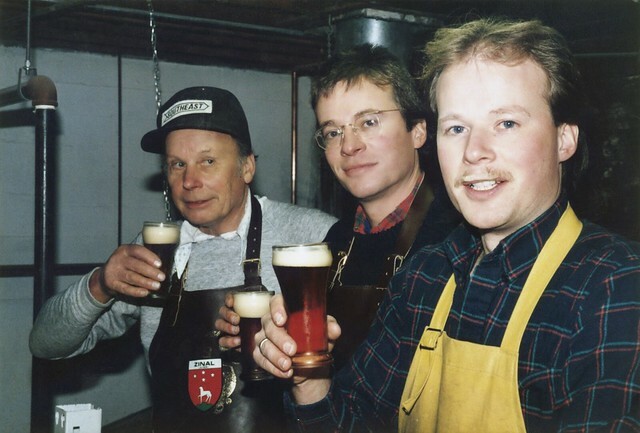 Ray, Kurt and Ron Widmer at the start of the brewery. Historic Beer Birthday: August A. Busch, Sr.
August Anheuser Busch was born on December 29, 1865 in St. Louis, Missouri. His father, Adolphus Busch, was the German-born founder of Anheuser-Busch. His mother, Lilly Eberhard Anheuser, was the third daughter of brewer Eberhard Anheuser, who owned the Aneuser Brewery. Businessman, President of Anheuser-Busch Brewing Company. 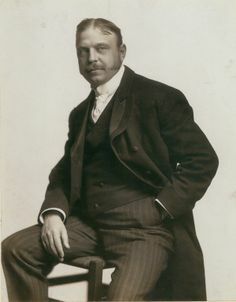 Born in St Louis, Missouri on December 29, 1865, August was the eldest son of Lilly (Anheuser) and Adolphus Busch. After completing his studies at Lyon Free School in St Louis, Missouri, he attended Morgan Park Military Institute in Chicago, Illinois and the Kemper School of Boonville, Missouri. 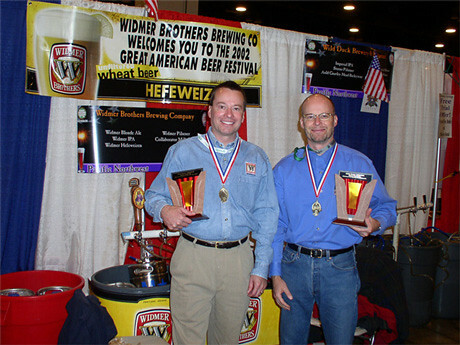 He then spent several years in Germany and New York City learning brewing techniques and the brewing business. 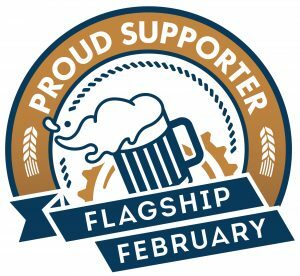 August Busch began his career at Anheuser-Busch by serving as a brewer’s apprentice for three years and then, by successive steps, he advanced within the company learning all facets of the business. August married Alice Ziesemann on May 8, 1890 and they had five children: Adolphus, Marie, Clara, August A, and Alice. After the death of his father, Adolphus Busch, on October 10, 1913, August became president of Anheuser-Busch Brewing Company. He guided the company through three major crises—World War I, Prohibition and the Great Depression. 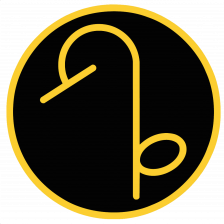 In order to survive the turbulent times, he began to diversify the company’s products. August patented the first diesel engine, which he installed in the brewery to increase production. During World War I, a subsidiary was formed to produce the engine for U S Navy submarines. To support the war effort, the Busch family purchased sufficient war bonds to finance two bombers; each of them was named “Miss Budweiser”. 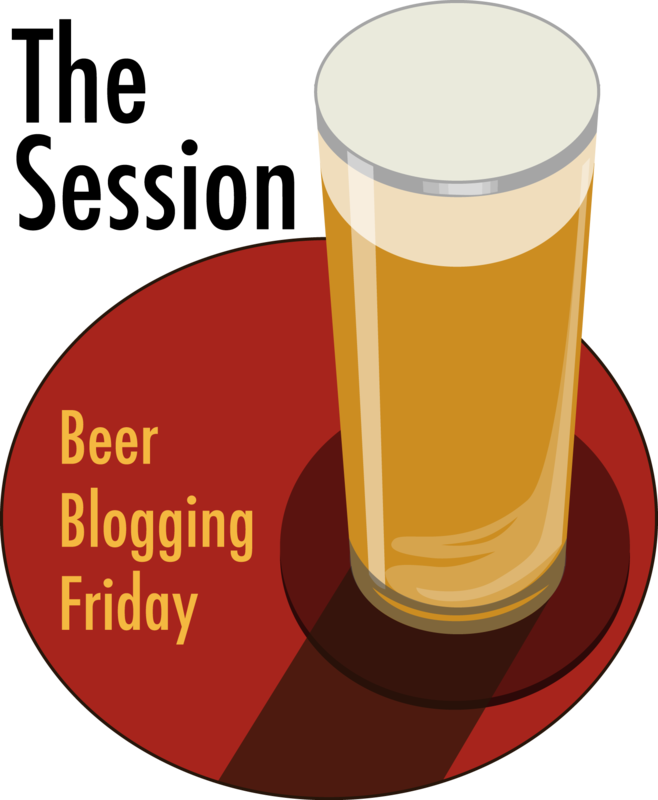 In November 1918, President Woodrow Wilson signed the bill instituting Prohibition in 1920. 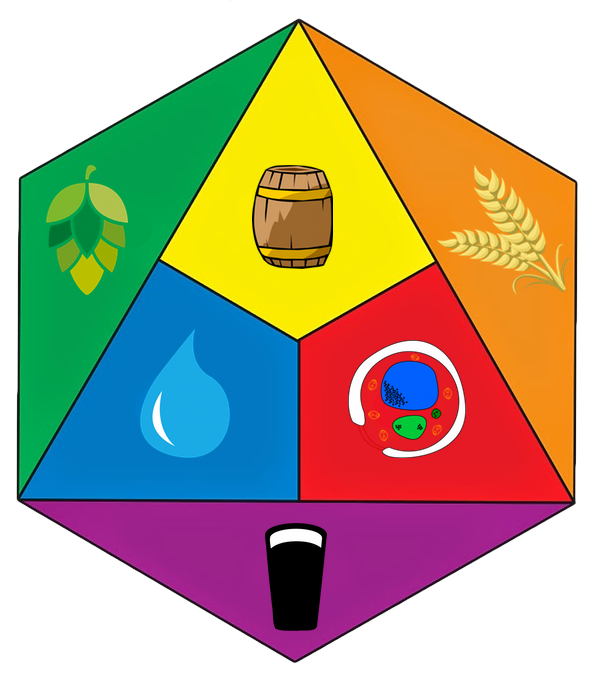 Unable to brew beer, August diversified the business into related products: malt syrup, for home beer production; a refrigerated car to transport perishables; corn products; baker’s yeast; ice cream and soft drinks. 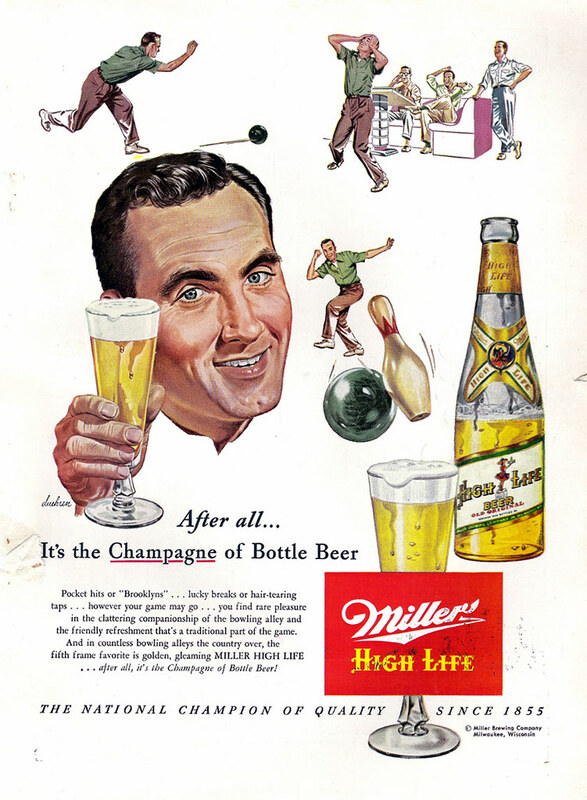 Even though most of these products were discontinued after Prohibition was repealed in 1933, his legacy of diversification is a hallmark of the Anheuser-Busch Companies today. After suffering in extreme pain for over 6 weeks with heart disease, dropsy and gout, August A Busch Sr. took his own life on February 10, 1934 with a self-inflicted bullet to the abdomen. Adolphus Bush III succeeded his father as president of the company. 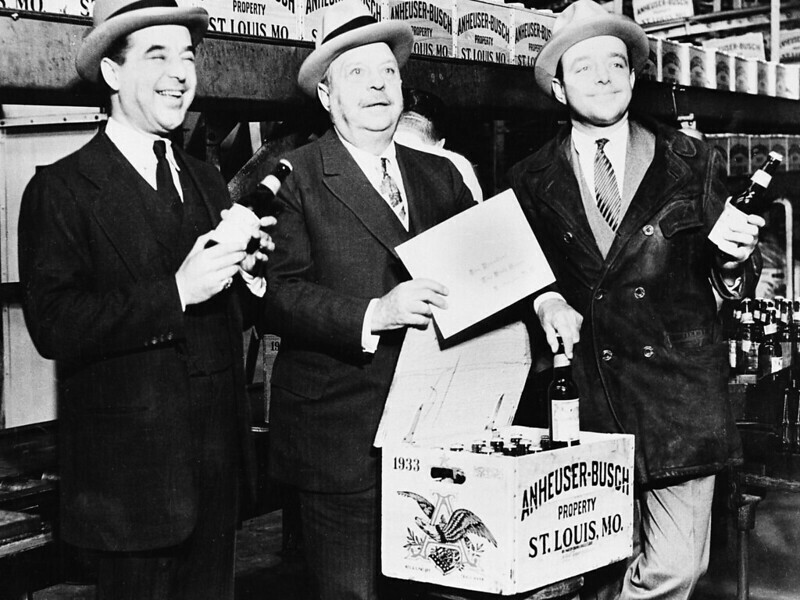 August A. Busch (center) and his sons, Adolphus III (left) and August Jr., seal the first case of beer off the Anheuser-Busch bottling plant line in St. Louis on April 7, 1933, when the sale of low-alcohol beers and wines was once again legal. Prohibition didn’t officially end until Dec. 5 of that year. 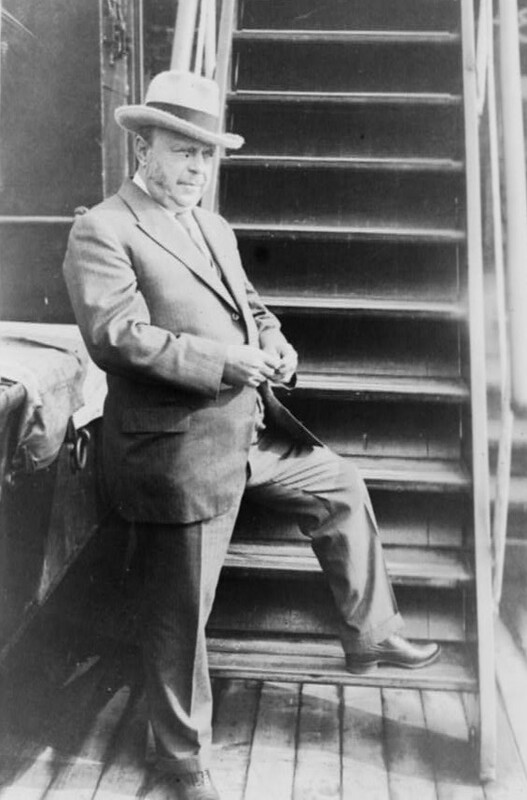 Busch became President of Anheuser-Busch in 1913, shortly after his father’s death. Under his leadership, the company survived World War I, Prohibition and the Great Depression by innovating and diversifying. The company delved into the production of corn products, baker’s yeast, ice cream, soft drinks and commercial refrigeration units to stay afloat during Prohibition. 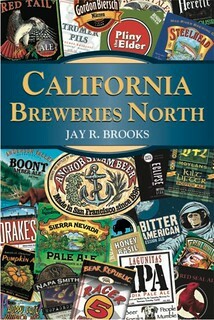 After Prohibition ended in 1933, many of these operations were discontinued. August also managed to keep Anheuser-Busch prosperous during anti-German bias of World War I. He built the Bevo Mill, about halfway between his mansion on Gravois Road and the Anheuser-Busch brewery downtown. 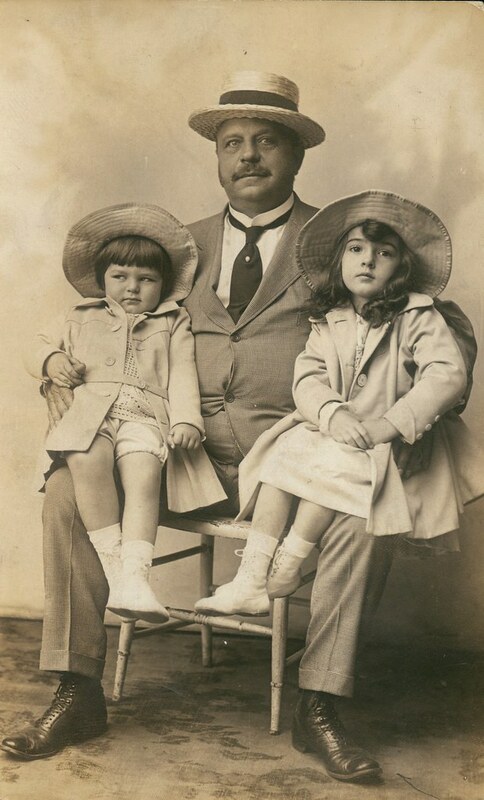 August A. Busch with two of his grandchildren on his knee.